The effort is guided by two attorneys brought on by the majority. Democrats on the House Judiciary Committee launched a wide-ranging investigation into allegations of obstruction of justice, corruption and abuse of power by President Donald Trump Monday — the most expansive inquiry to date since Democrats regained control in that chamber. The panel sent more than 80 document requests to different individuals and entities in and associated with the Trump administration, Trump Organization and family’s business empire, campaign and inaugural efforts. 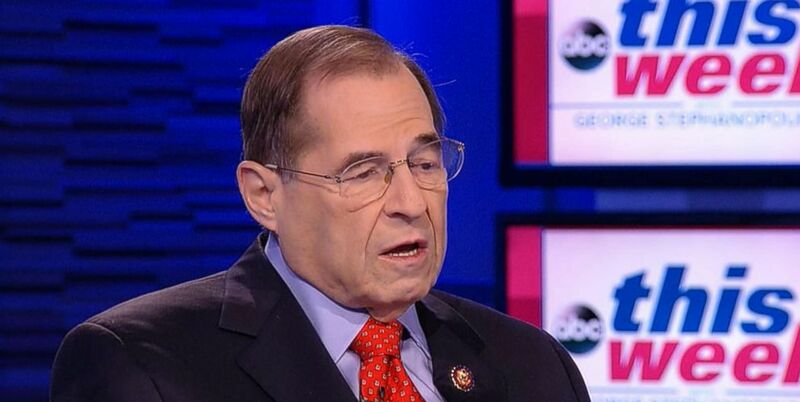 (ABC News) Rep. Jerry Nadler on "This Week With George Stephanopoulos," March 3, 2019. The inquiry, guided by two attorneys brought on by the majority to manage the oversight investigations, would inform any impeachment effort Democrats could decide to launch against President Trump, according to committee counsel. Though any official proceedings are still “a long way down the road,” the House Judiciary Committee Chairman Jerry Nadler, D-New York, said over the weekend. The probe is one of many lines of inquiry lodged by committees run by the new party in control of the House of Representatives. In an interview previewing the investigation on “This Week” Sunday, Nadler said he believed Trump had obstructed justice based on the testimony of his former personal attorney, Michael Cohen. (CQ-Roll Call via Getty Images, FILE) FBI Director Robert Mueller testifies during the Senate (Select) Intelligence Committee hearing, Jan. 31, 2012. 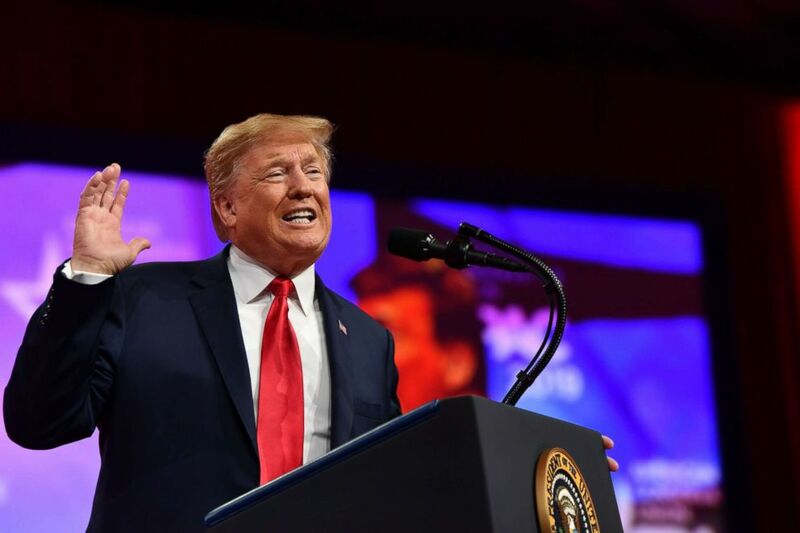 During an event with the North Dakota State Bison football team on Monday, the president was asked if he would cooperate with Nadler's request. “I cooperate all the time with everybody," Trump said. "And you know the beautiful thing: no collusion. It is all a hoax. You’re going to learn about that as you get older. It’s a political hoax, there’s no collusion." Monday evening, White House press secretary Sarah Sanders released a statement that described the investigation as "disgraceful and abusive." "Chairman Nadler and his fellow Democrats have embarked on this fishing expedition because they are terrified that their two-year false narrative of ‘Russia collusion’ is crumbling," the statement said. "Their intimidation and abuse of American citizens is shameful. Democrats are harassing the President to distract from their radical agenda of making America a socialist country, killing babies after they’re born, and pushing a ‘green new deal’ that would destroy jobs and bankrupt America. The American people deserve a Congress that works with the President to address serious issues like immigration, healthcare, and infrastructure. The Democrats are more interested in pathetic political games and catering to a radical, leftist base than on producing results for our citizens. The Democrats are not after the truth, they are after the President." Earlier on Monday, Sanders only said that the White House had received the House Judiciary Committee’s letter and that the White House counsel’s office and relevant administration officials would review it and respond at the appropriate time. Democrats, in their document requests issued, have requested all relevant information to their investigation by March 18. The panel has already consulted with attorneys for many of the individuals on their list and also anticipates issuing subpoenas in the coming weeks to compel compliance, according to a committee counsel. 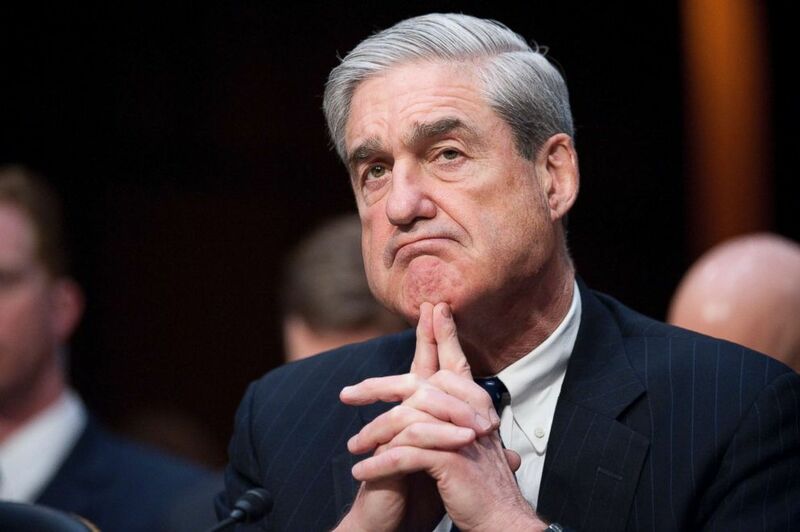 The requests appear to cover every major episode under scrutiny by special counsel Robert Mueller’s office, prosecutors in the Southern District of New York, and congressional investigators, and even requested copies of documents produced for previous inquiries. They also ask for documents related to, among other issues, the firing of former FBI director James Comey, former Trump attorney Michael Cohen’s hush money payments to silence women who claimed to have had affairs with Trump ahead of the 2016 presidential election, and the Trump Tower meeting between campaign officials and a Russian lawyer who allegedly promised dirt on Hillary Clinton. Democrats’ requests also focus on some of their longstanding concerns about the Trump administration, including the potential conflict-of-interest between the Trump family’s business interests and the administration, given concerns about possible violations of the Constitution's emoluments clause. Democrats on the panel hope to hold closed-door interviews and public hearings with some of the individuals identified in this first round of letters within weeks, according to a committee counsel.